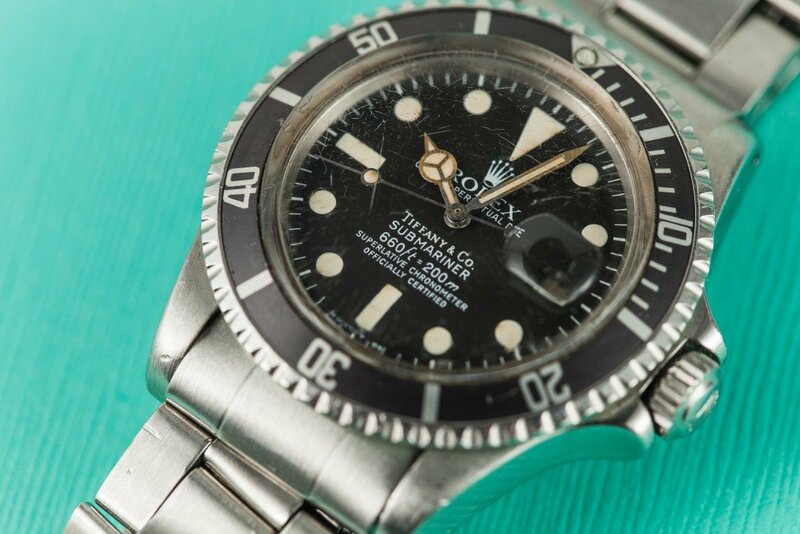 Much like tropical dials and Paul Newman Daytona’s, “Tiffany dials” are another minute variation in the world of vintage Rolex that can often bring in enormous premiums at auction. “Tiffany dials” are simply regular Rolex dials that have been stamped with the Tiffany & Co. name. 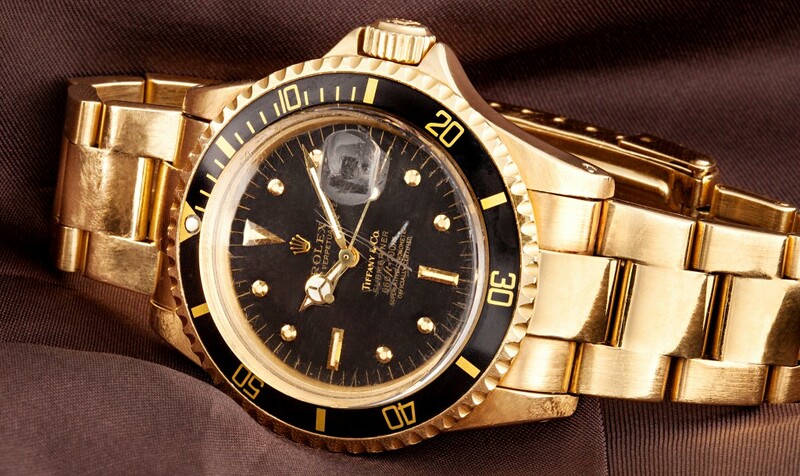 Despite the tight level of control that Rolex now maintains over their products, co-branding was somewhat common during the 1960’s. “Tiffany dials” are simply regular Rolex dials that have been stamped with the Tiffany & Co. name. As a well-known jewelry retailer, Tiffany & Co. sold timepieces from a variety of manufacturers, including Rolex. Around the late 1950’s, Tiffany & Co. began printing their name on the dials of the watches sold in their stores. The very first Tiffany-branded dials had the Tiffany name added by hand at their New York City location; however in later years, much of the printing was actually done Geneva, Switzerland. These now vintage Rolex watches with a Tiffany dial has steadily increased in price. As a well-known jewelry retailer, Tiffany & Co. sold timepieces from a variety of manufacturers, including Rolex. Although Tiffany & Co. did stamp their name on quite a few Rolex dials, many watches with Tiffany dials actually came pre-printed from Rolex. Since Tiffany & Co. had a service center, they also stocked replacement dials for their own repair purposes. As a result, many of the replacement Tiffany-branded dials were stamped at one of their service centers or retail locations. Tiffany & Co. did stamp their name on quite a few Rolex dials. Since both Rolex and Tiffany & Co. were printing dials with the Tiffany name, a variety of inconsistencies exists among Tiffany-branded dials. Additionally, Tiffany & Co. did not have a singular location in which all of the dial printing was done, so an even greater range of incongruences exists. For several decades, Tiffany-branded Rolex watches could be sent to either company for servicing. For several decades, Tiffany-branded Rolex watches could be sent to either company for servicing. 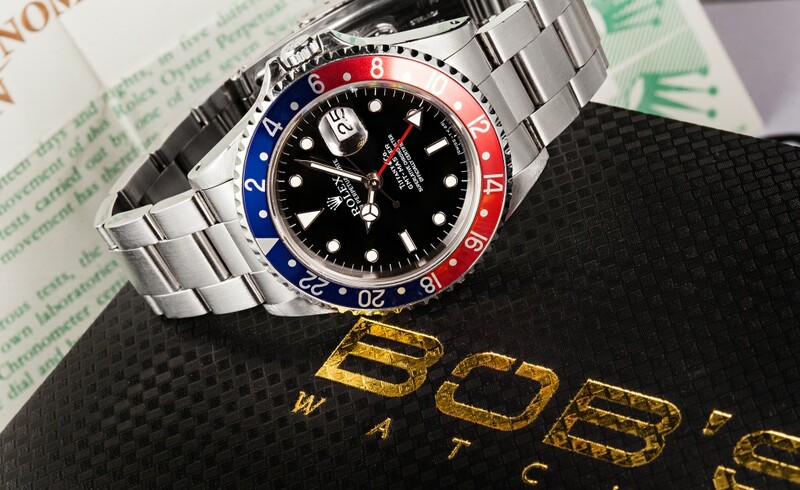 In the early 1990’s, Rolex made the decision to stop supplying co-branded watches, and would no longer honor warranties if the dial stampings had been done at a Tiffany & Co. location. As a result, Tiffany & Co. stopped selling Rolex watches, and the two companies parted ways. Tiffany & Co. stopped selling Rolex watches. Due to the disjointed dial printing process and the resulting inconsistencies between dials, Tiffany dials are some of the most counterfeited dials in the vintage watch world. 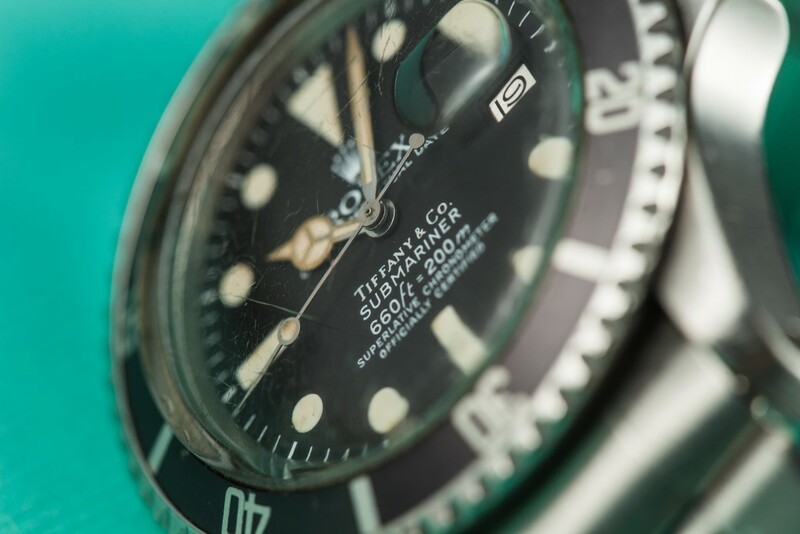 Tiffany & Co. printed their name on watches from several different manufacturers, and since fonts, colors, spacing, and even the location differ from one dial to another, spotting a fake requires a keen eye and a decent knowledge of vintage watches. 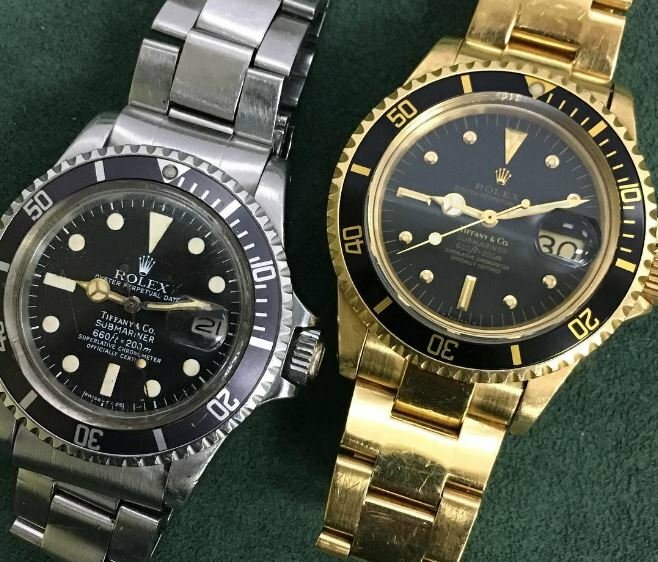 the highly inconsistent dial printing process that took place during the partnership with Tiffany & Co.
For vintage Rolex collectors, Tiffany dials represent a past era in the company’s history. Rolex now prides itself on an entirely in-house production process, and a tight level of quality control. 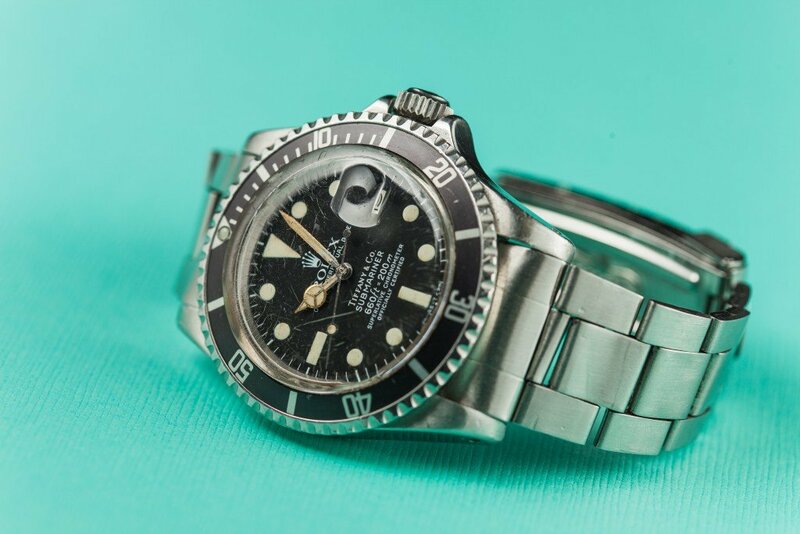 Co-branded dials, let alone the highly inconsistent dial printing process that took place during the partnership with Tiffany & Co. are not something that Rolex would ever tolerate today – and that is exactly why collectors will pay a premium for them at auction.